You might have observed recently while shopping in the grocery that most people no longer make use of the traditional steel made shopping baskets. Yes, it is almost becoming history. Even most supermarkets today do not make use of it any longer. Rather they go for the plastic shopping baskets probably as a better alternative. No one talks about the steel made shopping baskets any longer. There are lots of factors that must have caused this gradual preference by the high-street and supermarket brands for the plastic shopping basket. They could probably be seen as benefits. Whatever it is, let’s get to it then. 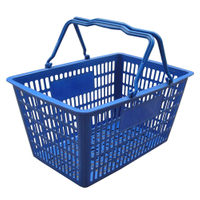 As one of the characteristics of plastics, the plastic shopping baskets don’t rust or corrode. They can actually maintain their great condition for a long period of time, unlike most of the steel baskets. Again, the plastic shopping baskets can also be left outdoors, it doesn’t matter the climatic condition. This makes it certain that they conserve a lengthy lifespan whether under snow, rain or sunny conditions. Traditional shopping baskets produced from steel frequently feel cold to touch, and mainly in the fall and winter several weeks could make with them really miserable. 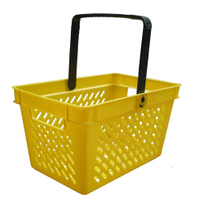 Plastic built shopping baskets seizes the great advantage of a powerful structural design that unlike steel baskets does not get permanently dented or deformed if it is knocked or bumped against shop or shelving displays. They are designed with strong comfortable plastic handles that do not bend underneath the weight of the heavy shopping load along. In addition to this, there is a well venting base which helps to ensure that any potential spillages are stored low and will not spoil other products within the basket. 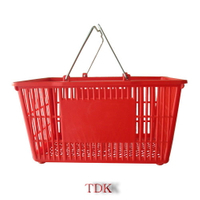 The can be easily stacked due to the design and style of the plastic baskets. In contrast to the steel made shopping baskets, the plastic baskets stay with other baskets when being lifted in the stack and don’t tangle. 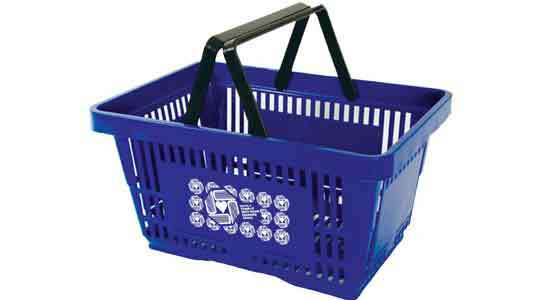 When it comes to weight, the plastic shopping baskets are lighter than their metal counterparts. This means a lot of advantages. 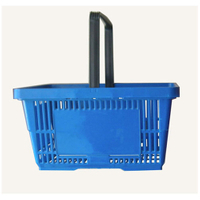 With such significant low weight, the plastic baskets are simpler to lift and bear by a customer. This is a huge benefit for those customers who are of age and may not be able to bear the weight of the steel made baskets. Being lightweight does mean that if they’re knocked or noticed shelving, reason for purchase displays or perhaps other shoppers they’re less inclined to cause harm or injuries. It is a lot more comfortable to hold shopping inside a basket built from plastic as possible frequently carry more shopping because of the plastic baskets reduced weight.